The weekly cleansing operation is carried out at public swimming pools managed by the LCSD from 10:00 a.m. to the end of the second session. 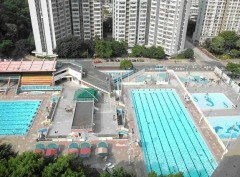 The pools will resume service at the third session on the same day. ※ If the cleansing day falls on a public holiday, the swimming pool will open as usual and the weekly cleansing operation will be rescheduled for another weekday (as shown in the bracket) of the same week. Please contact the officers-in-charge of the respective swimming pools on the telephone numbers listed above for details of the latest arrangements. Address 733 Lai Chi Kok Road, Sham Shui Po, Kowloon. 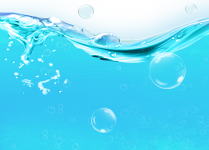 ^ Heated swimming pool facilities will be provided from November to mid-April of the following year. Note 1 The opening schedule of the public swimming pool is for reference only and subject to changes with notices. For the latest opening arrangements, please contact the public swimming pool on the telephone numbers provided in the table above. Information of temporary closure notice of public swimming pools is for today and the next 29 days. Note 2 For the latest information on public swimming pools (such as temporary closure of the whole swimming pool complex due to emergencies), please visit our webpage on Press Releases. Note 3 The weekly cleansing operation is carried out from 10:00 a.m. to the end of the second session. 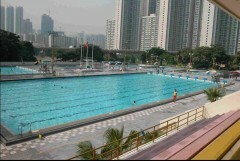 The swimming pool will reopen at the third session on the same day. If the weekly cleansing day falls on a public holiday, the swimming pool will open as usual and the weekly cleansing operation will be rescheduled for another weekday of the same week. Note 4 All public swimming pools are closed on the first three days of the Lunar New Year. Note 5 For the procedure of booking of public swimming pools by organisations, please refer to Guide to the Booking Procedure for Use of Public Swimming Pools.